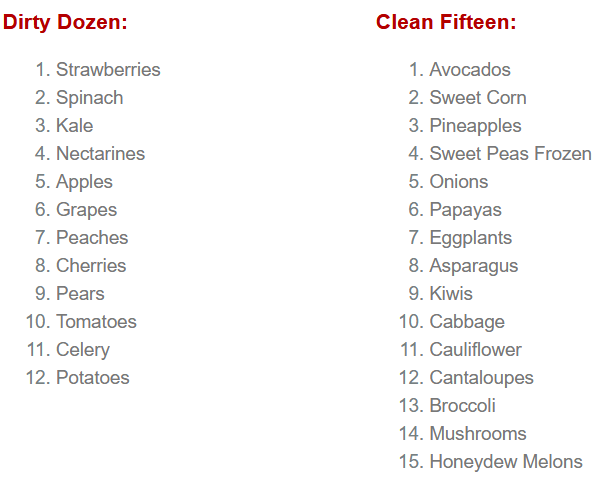 "Dirty Dozen" and "Clean Fifteen". Have you heard of these? They are the lists released by the non-profit Environmental Working Group (EWG) that indicate which fruits and vegetables have the most pesticide residue. Needless to say, the produce on the Dirty Dozen list has the most pesticide residue, and the produce on the Clean Fifteen list has the least pesticide residue. To determine the lists, the EWG analyzes the U.S. Department of Agriculture's data on the chemicals found on grocery store produce. Their 2019 list was released earlier this month. It is important to point out that the amount of pesticide residue found was still below safety guidelines. 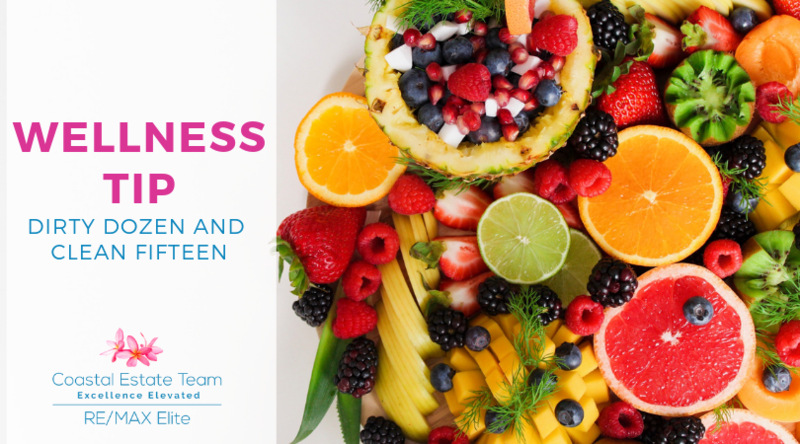 Additionally, many experts in the nutrition field explain that the health benefits of eating produce outweigh any risk from pesticide exposure. If you're looking to save money on produce, buy conventionally-grown fruits and veggies from the Clean Fifteen list, and spring for organic when buying produce from the Dirty Dozen list (although organic does not mean pesticide free). Ultimately, whether organic or not, the more the better when it comes to fruits and veggies.